On the occasion of his Openday, the main courtyard of the NABA campus (New Academy of Fine Arts) was turned into an open-air “Dream Factory”, a creative assembly line. I created a visual texture that represented this spirit of creativity, a tangle, a mixture of shapes, elements, materials, colors and people. 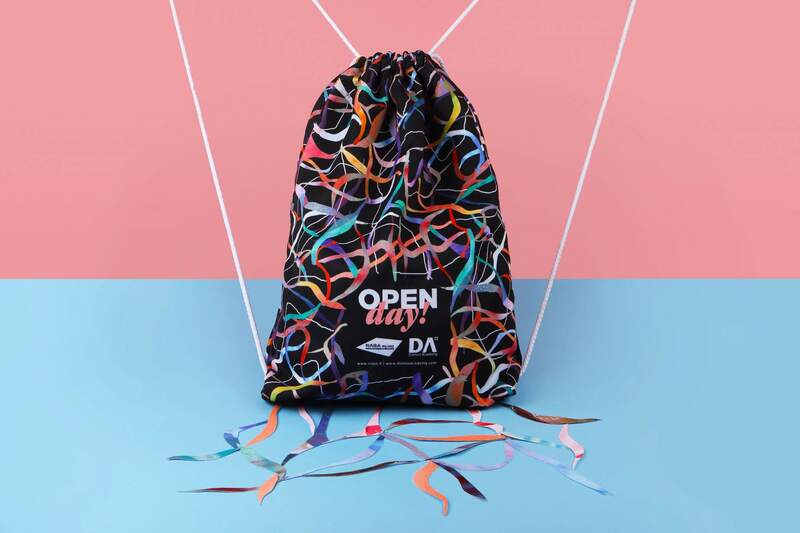 The graphic then became the distinctive element of the whole event: a backpack was created as a giveaway to the visitors of the campus’ Open Day, a flyer was produced to promote the event as well as a series of promotional printed materials for the installation “Dream Factory”.